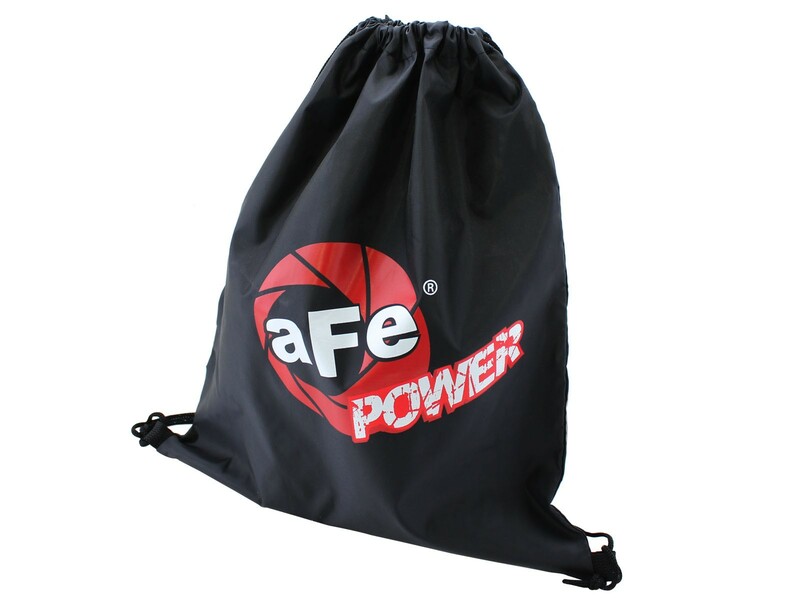 The all new aFe power Drawstring bag is here. This carrying bag lets you move your items around while securing them with a drawstring. Custom colored aFe logo on a black nylon bag lets you tell everyone what performance products you choose to represent. Graphic: Custom colored aFe Power Logo.